Lough Boora Discovery Park is a haven for nature and a prime location for outdoor enthusiasts to explore our trails, angling lakes, bird hides and sculptures. Our vast network of off road walkways and cycle paths allow visitors to spend as much time as they wish exploring the park, as walks can range from 20 minutes to 4 hours. 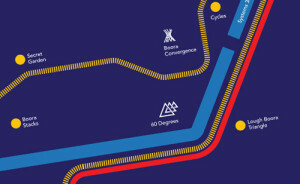 Download our route maps and prepare for your next visit! Explore this short walking route at your leisure. 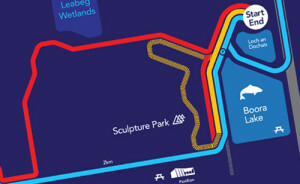 PDF of Sculpture Park Route map (PDF 5MB). 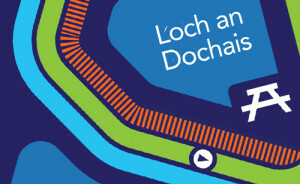 Uncover the history of Lough Boora as you explore the Mesolithic Site by foot or bicycle. 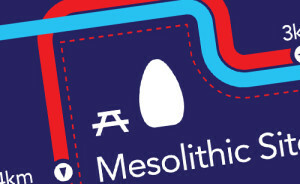 PDF of Mesolithic Route map (PDF 0.2MB). Discover and unearth the hidden beauty along this thriving wildlife habitat which winds through the park and angling lakes. The Finnamore Lakes Route can be accessed on foot only and consists of Finnamores Upper and Lower, where avid anglers can try their luck at these coarse fisheries. PDF of Finnamore Lakes Route map (PDF 0.2MB). 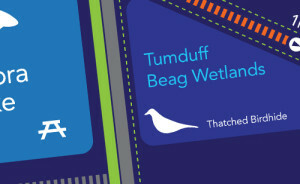 Turraun has been out of peat production longer than any of the other park’s sites and is the most diverse in terms of both habitats and the number of species present. PDF of Turraun Route map (PDF 0.2MB). Enjoy all that Lough Boora Discovery Park has to offer.